... fishermen unloading daily catch. ... customers and one of our guides. ... on the boat very romantic. After your hotel breakfast we pick you up and transfer you to the jetty. After 45 minutes we stop at a local owned grouper fish farm. The local people call them stone fish as the fish can be found around stones only. Fishermen catch them when they are babies. The farms keep them up to 10 years. The fish can reach up to one meter and weighs about 40 kilograms or more at the end. Afterwards we arrive at Marcus Island. Now it is time to unwind and relax. Enjoy your own beach and some deck chairs. Go for a snorkel or just read a book. Around noon we serve lunch. Fresh grill seafood and vegetarian options will be available. Afterwards there is time for a nap or swimming again. We leave you alone for some time before we set off again. 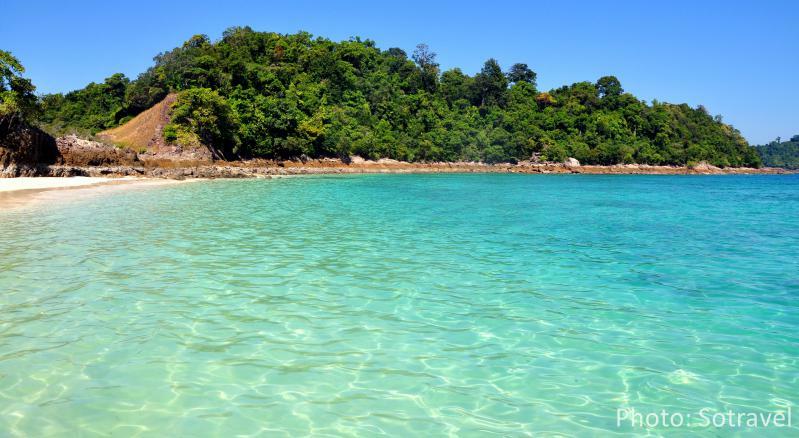 We arrive back in Myeik in the afternoon. This tour is made for people who would like to relax and spend some quality time on the beach.